Seth Kubersky has worked for more than 20 years as a theatrical artist, culture critic, and travel journalist. 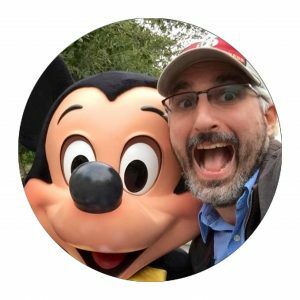 Seth is the author of The Unofficial Guide to Universal Orlando and coauthor of The Unofficial Guide to Disneyland, as well as a collaborator on The Unofficial Guide to Las Vegas and The Unofficial Guide to Walt Disney World. Seth is nationally recognized as an authority on theme parks and amusement attractions, and contributes to Attractions Magazine, AAA Via, and the Unofficial Universal Orlando Podcast. Named Best Arts Writer in The Daily City’s 2013 readers’ poll, Kubersky writes an arts and entertainment column, “Live Active Cultures,” that appears in every issue of the Orlando Weekly, central Florida’s leading alternative newspaper. A native of Livingston, New Jersey, Kubersky earned a B.A. in theater from The College of William and Mary in Virginia. He has produced and directed dozens of plays through his award-winning Empty Spaces Theatre Co. and at the Orlando International Fringe Theatre Festival. As a stage technician and entertainment supervisor at Universal Orlando from 1996 to 2000, he worked on the Ghostbusters Spooktacular and Terminator 2: 3-D attractions, Mardi Gras parades, and Halloween mazes. Seth lives in Orlando with his wife, Genevieve, and their cat, Brubeck.